Nevaeh Burgett, a junior in the health field at the South-Western Career Academy, holds up eight inches of freshly cut hair by cosmetology student Makiah Linely. 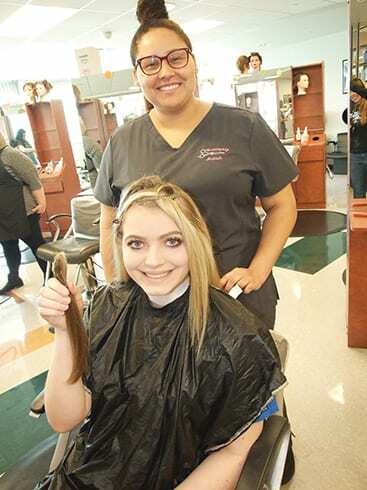 Burgett was one of 26 people who signed up to have several inches of their hair cut off on April 11 and 12 as part of a fundraising effort by students at the academy’s working salon. This is the third year the academy has participated in the fundraiser, which gives donated locks to the non-profit organization, Children with Hair Loss. In addition to the hair, monetary donations were accepted. Instructor Dawn Weaver said they had raised more than $300 this year. 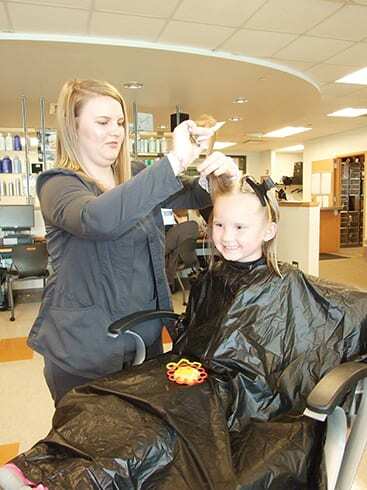 Four-year-old Eva Counts is all smiles as cosmetology student Grace Furrow trims up the ends of her hair. 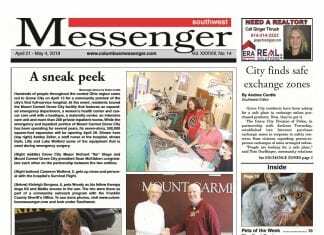 This event marked the second time the Grove City resident has donated several inches of her hair.